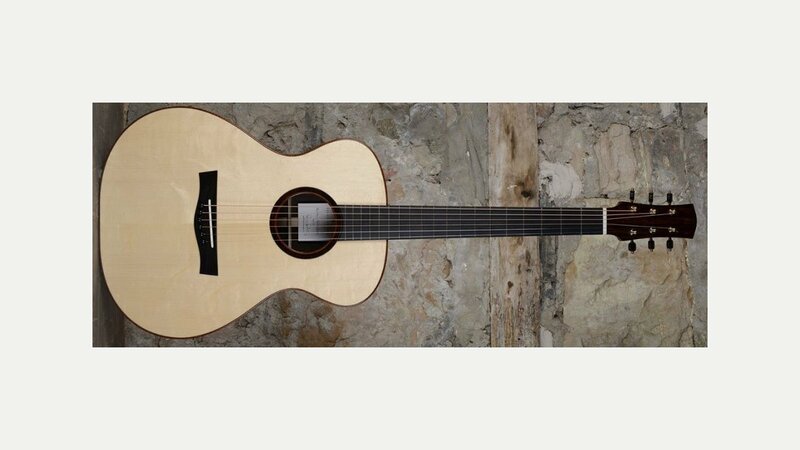 Taran Guitars, based in rural Fife, is run by Rory Dowling who has been making stringed instruments since 2002. It is his belief that a truly extraordinary instrument is the result of the meticulous selection of the finest tonewoods and careful construction along with a clear vision of the end result. In working closely with clients and by understanding their requirements Tarn can craft a unique instrument tailored to their tastes. Taran guitars have a standard price tag of £3000 but can go up to £4500 with extras such as arm bevels and silver purflings. They make several ranges from parlour sized to Jumbo and OM – Meilein, Taran Mhor, Tirga Mhor, Tirga Beag and Ulladale. Taran is Gaelic for ‘Thunder’. Ever since Rory’s childhood he has spent many an hour roaming the hills of the Outer Hebrides on Scotland’s West Coast.